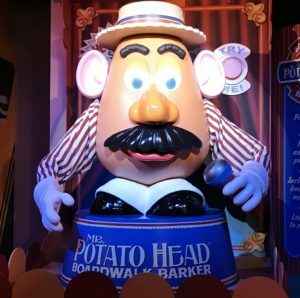 Brand new Disney attractions have a reputation for extremely long waits. Pandora – The World of Avatar is a great example of this. 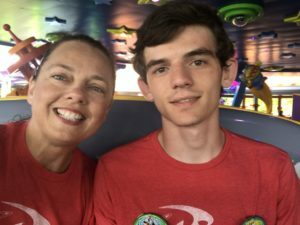 It has been open for over a year now, and the wait times posted are still hovering at two hours or longer. Seven Dwarf’s Mine Train has been open for over four years and the wait time rarely drops lower than 80-90 minutes. 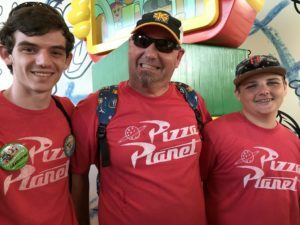 The public expected no less for the new attractions in Hollywood Studios Toy Story Land, which opened at the end of June this year. 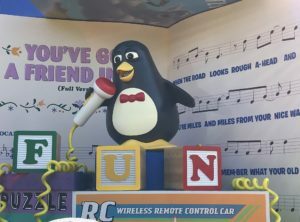 Most of us know that Toy Story Land attractions would consist of Toy Story Midway Mania, which has already been up and running for several years now at Hollywood Studios. 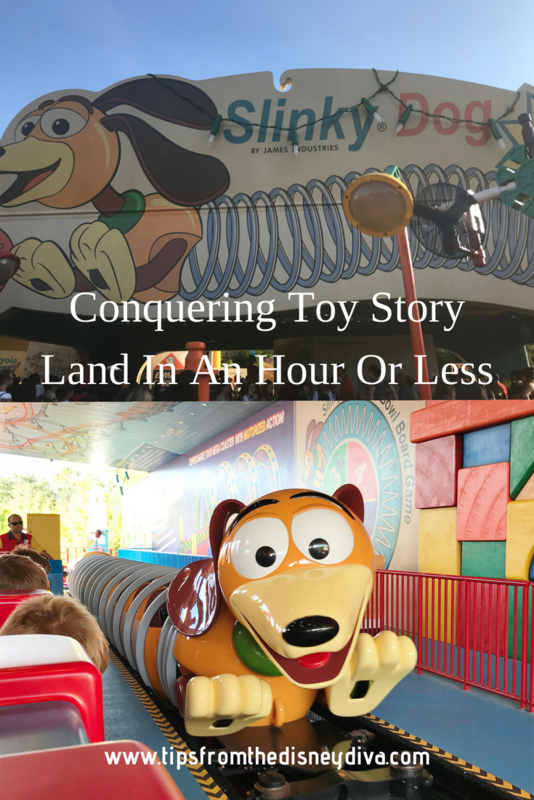 It also feature two new attractions, Alien Swirling Saucers and Slinky Dog Dash. 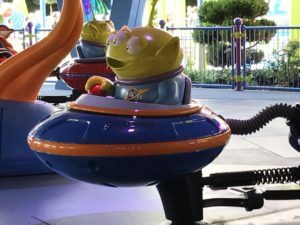 The main hype has been over Slinky Dog Dash, as it is more of a coaster ride, where Alien Swirling Saucers is a quick spin around a platform in an Alien flying (or spinning) saucer. 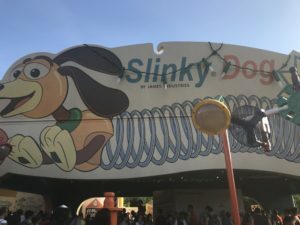 Opening day saw crazy, yet expected, 3-5 hours long waits for attractions, especially for Slinky Dog Dash. 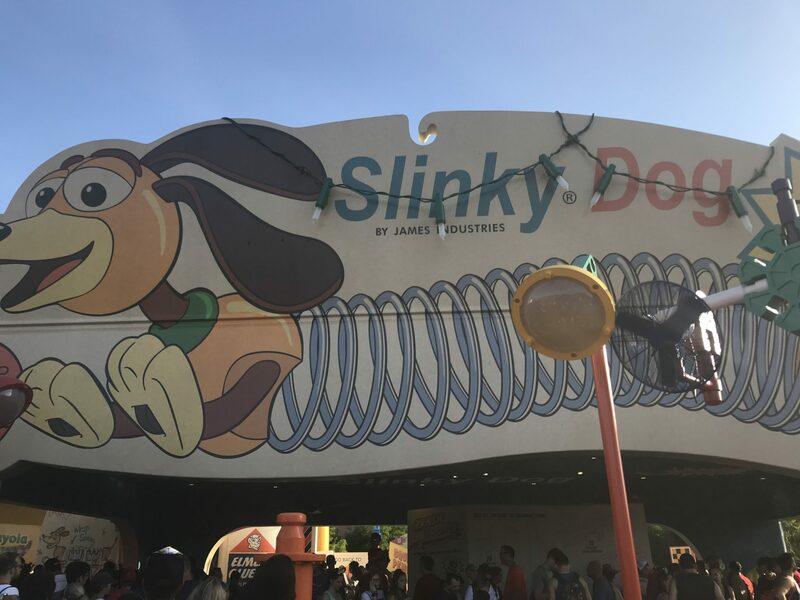 If a guest wasn’t able to snag a FastPass Plus option for Slinky Dog Dash, they could expect to wait a long time to ride this particular attraction. 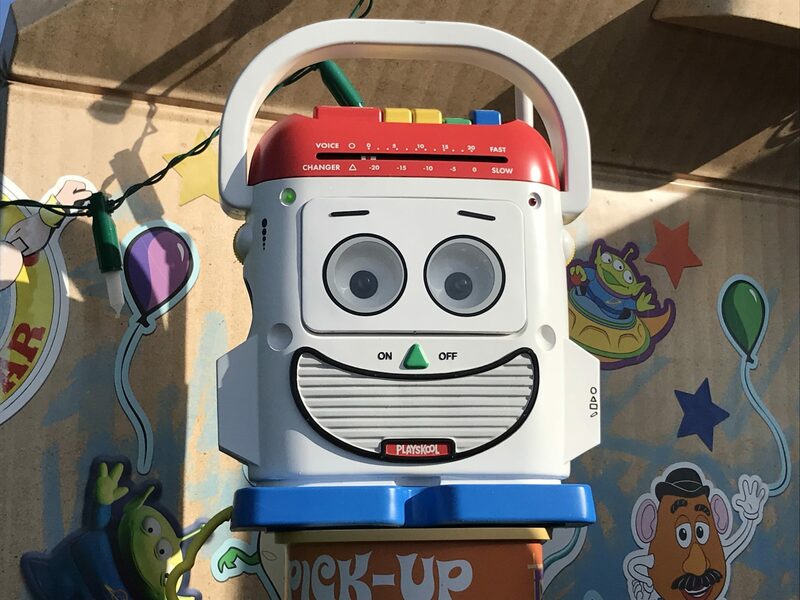 Something seemed to happen after the first week and a half of opening Toy Story Land, though. 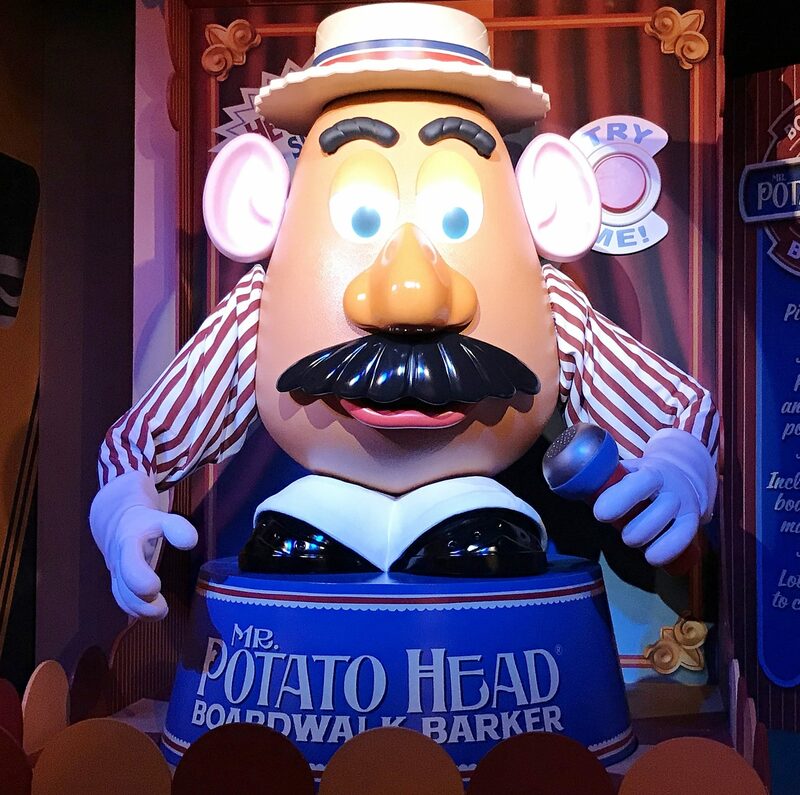 It appeared that either overall crowds were much lower than anticipated, or, for some reason, people weren’t as interested in waiting in line for these rides as the are for Flights of Passage at Animal Kingdom or Seven Dwarf’s Mine Train at Magic Kingdom. 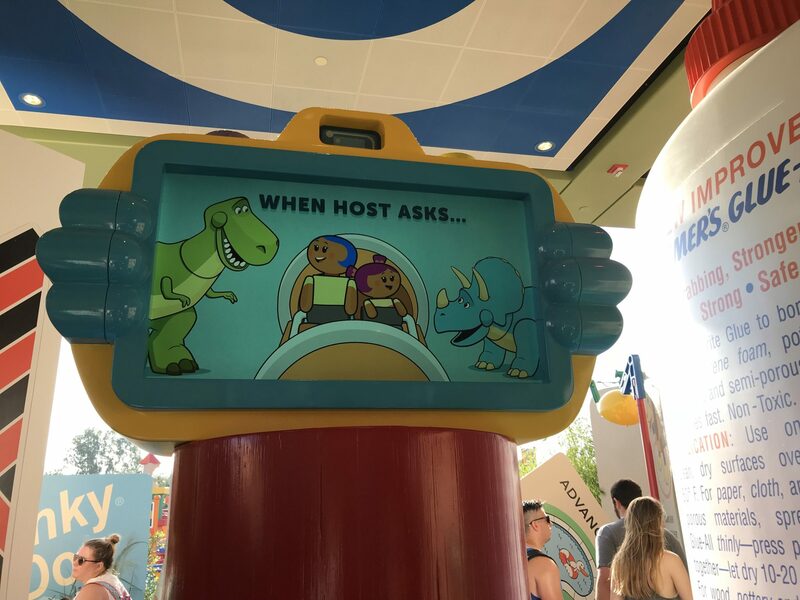 No one knows what exactly happened to the crazy wait times that were expected, but I have a little idea. 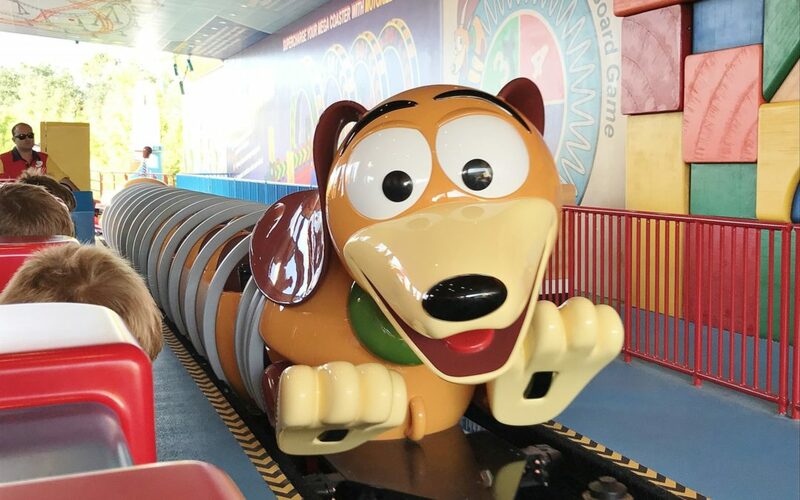 I have read a lot of grumbling and mumbling from fans who were disappointed that Slinky Dog Dash wasn’t as exciting as Rockin’ Roller Coaster. 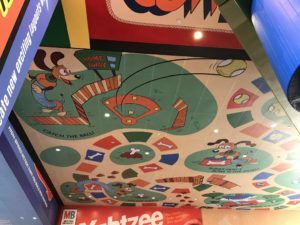 People were expecting faster speeds, loops and who knows what else from Slinky Dog Dash, and apparently, the ride didn’t deliver what they wanted. 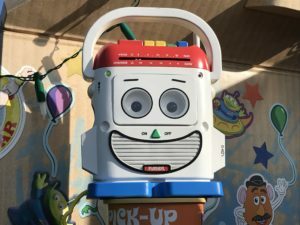 There were complaints that all of Toy Story Land was geared more toward kids than adults. Imagine that! 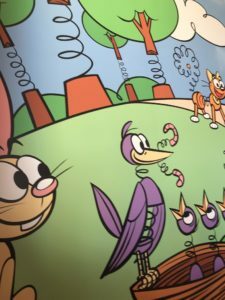 A land at Walt Disney World, that is geared toward children, gasp! Because of the lowered wait times showing on my My Disney Experience app, my family decided to head to Hollywood Studios a day early and see if we could check out the newly revealed Toy Story Land, something we had originally planned to avoid because of crowds. 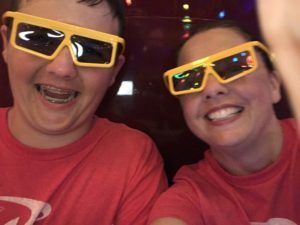 The problem was, it was a last-minute decision and we had no FastPass Plus options picked with only a couple of weeks before we arrived. I diligently checked several times a day and was finally able to grab a FastPass for Alien Swirling Saucers for 9:30am. Hollywood Studios was set to open at 9:00am with an 8:00-9:00 am extra magic hour for those who were staying on-site at a Disney resort. The only problem was, we were staying off-site, so we couldn’t take advantage of that early morning extra magic hour. Despite the fact that we would already be behind a large crowd by an hour, we arrived at Hollywood Studios with plenty of time to get in for the 9:00am opening. We did our “power walk” back to the queue for Slinky Dog Dash, which had a wait time of forty minutes posted. 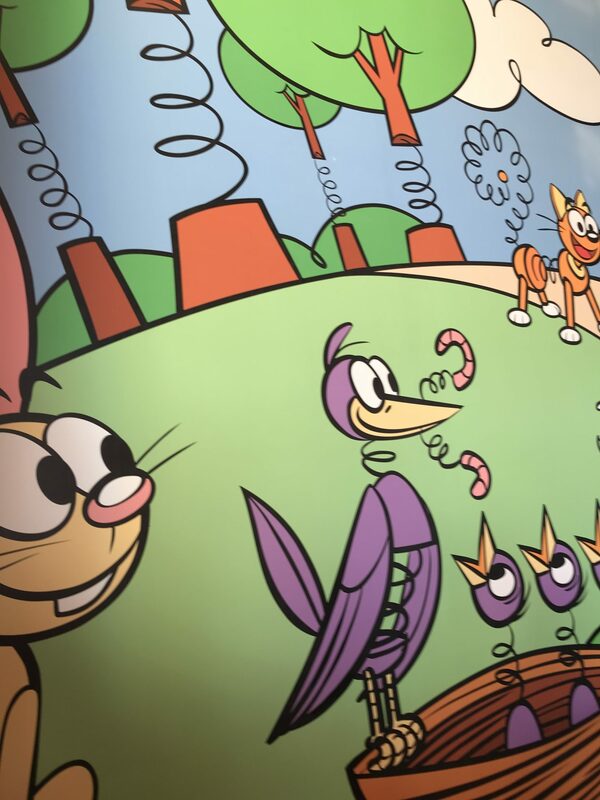 The queue is decorated with amazing detail, oversized playing cards and toys from childhood at every turn. It certainly makes your wait time more interesting as you are trying to take in every little detail. I apologize for my photo overload, but this isn’t even as many photo’s as I wanted to take. Though the wait time posted was 40 minutes, we were waiting to board our Slinky Dog in less than 30 minutes. We climbed aboard our Slinky and had a blast! I loved the ride, I don’t care if it’s not a super-sonic fast coaster and I certainly don’t mind that there aren’t loops (I HATE loops). 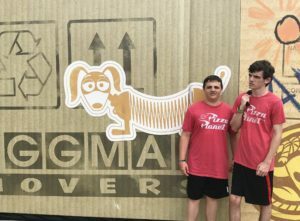 My husband and teenage sons loved the ride and they actually do like loops. 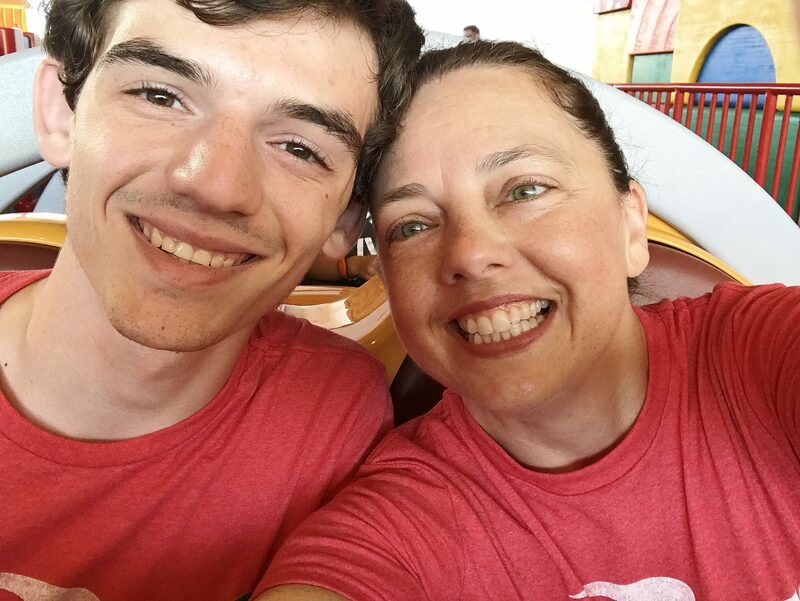 There wasn’t a second of my time on Slinky Dog Dash that I thought, “Wow, this stinks, it’s geared toward kids!” On the contrary, I think all the kids and adults who rode that day loved the ride, their smiles certainly made it seem that way. 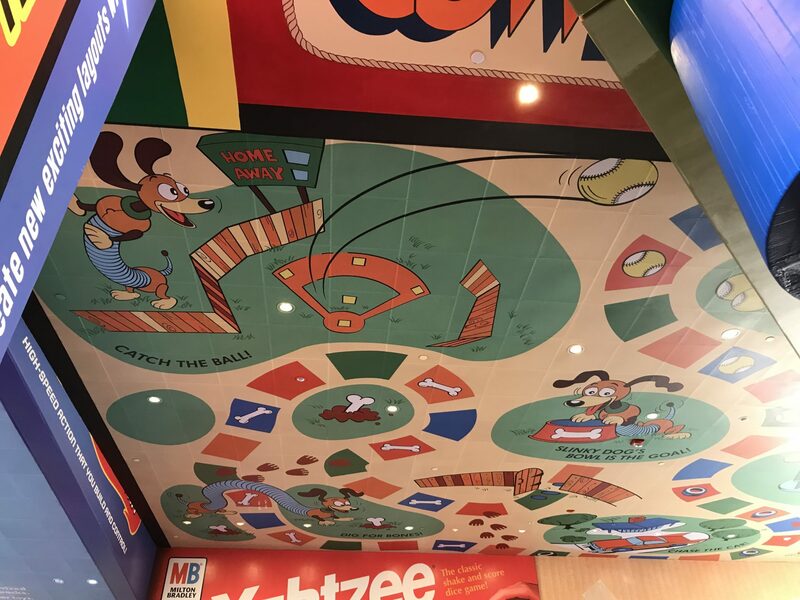 When we got off of Slinky Dog Dash, we headed straight for Toy Story Midway Mania. 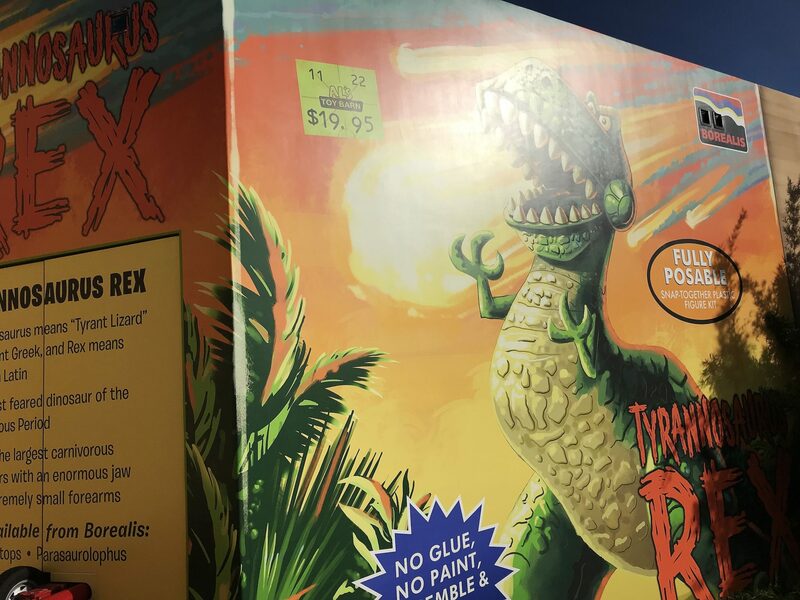 Guys…the wait time was FIVE MINUTES!! 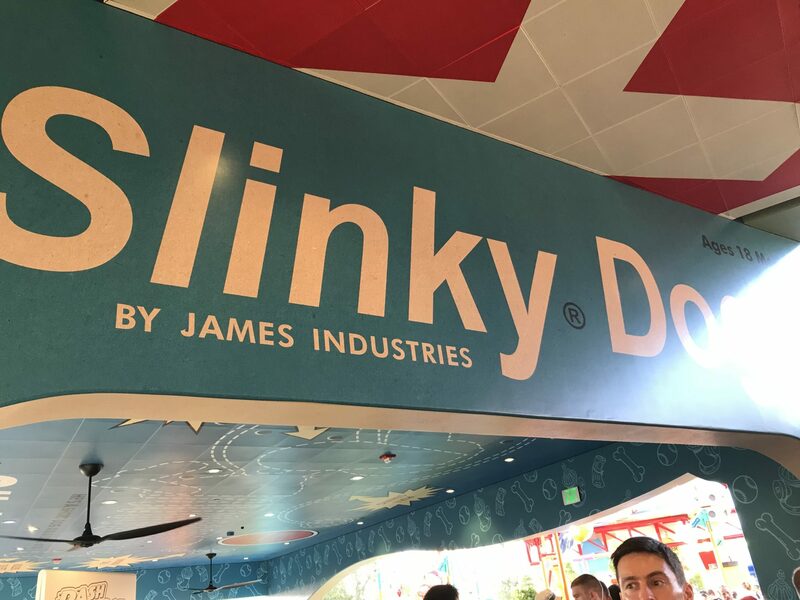 Thank you, Slinky Dog Dash, for shortening one of the worst wait times of the past into one of the best. 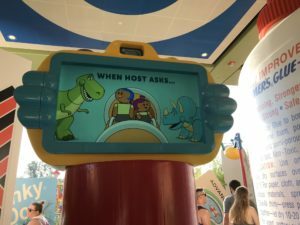 We did what damage we could to plates and targets in Toy Story Midway Mania, disembarked, and made our way to use our FastPass on Alien Swirling Saucers. What can I say about Alien Swirling Saucers? It’s a very, very, VERY short ride. I’m very thankful we used a FastPass for it, because I probably would have been vastly disappointed if I had waited 30 minutes for that particular ride. I assumed it would be a bit like the Tea Cups in Magic Kingdom, and in a way it is. However, you can’t control spinning in the saucers, you just sit there for about sixty seconds and then your done. Is it cute? Yes. Would I ride it again? Sure..if there was no line to wait in. 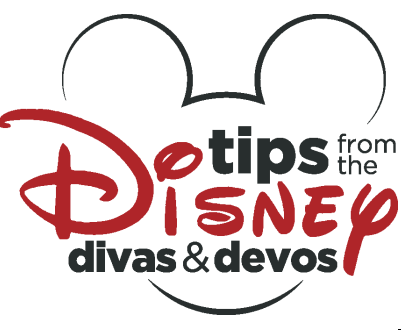 Will I use a FastPass for it again? Probably not. Am I glad I did use a FastPass for it this time? Absolutely. 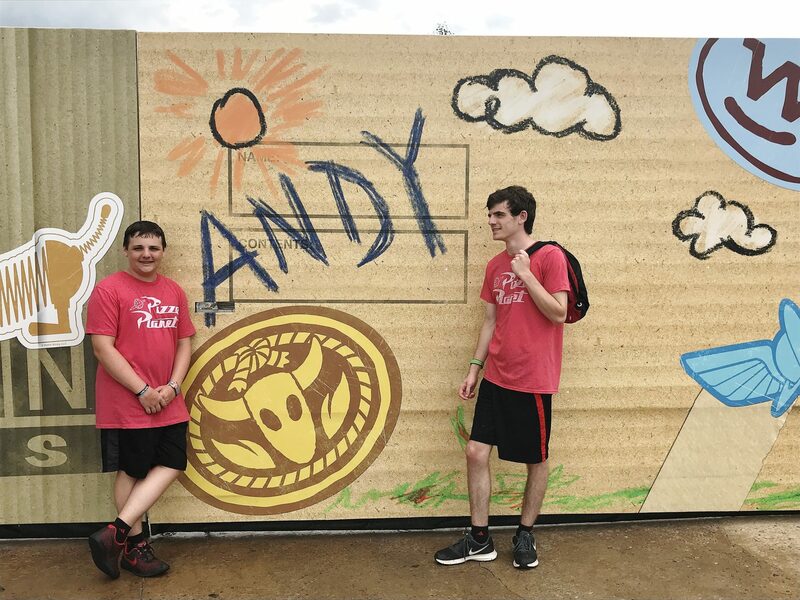 We wanted to try to get everything in Toy Story Land done as quickly as possible that day, and with the help of this FastPass, we were done with all three attractions and taking a few photo’s by the adorable walls in Toy Story Land in slightly less than an hour. 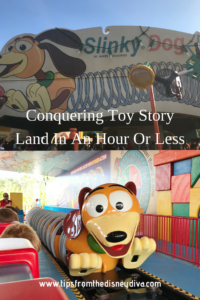 Thanks to the perplexing lower lines for Slinky Dog Dash (when compared to other newer attractions) it is entirely possible to do all three attractions in Toy Story Land in less than an hour, just be prepared to get up and be at the park by the time they open. 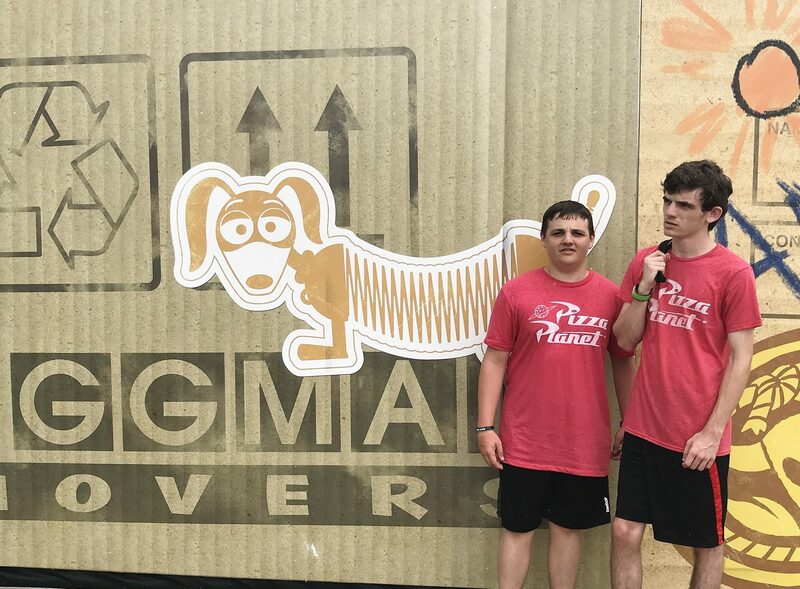 I can’t explain why certain people were disappointed by the rides, especially Slinky Dog Dash. We loved it and can’t wait to go back and ride it again! If you have a chance, do yourself a favor and get to the park early so you can experience it for yourself. 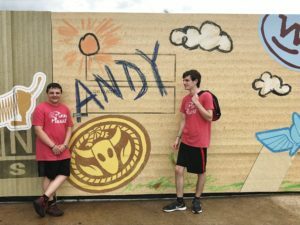 After you’ve conquered these rides you can head to Woody’s Lunch Box for breakfast, read Tiki Diva’s review here.